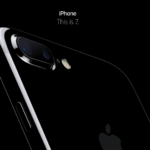 Yesterday, one of the biggest surprises of the iPhone 7 keynote was the announcement of Super Mario Run for iPhone. Not only that, iconic Mario creator Shigeru Miyamoto was present on stage to announce the launch of the game, exclusively first on iPhone. There were no leaks this was going to happen, so it was one of the best surprises of the keynote. Given the new partnership, it only made sense to start marketing Super Mario Run for iPhone like crazy. 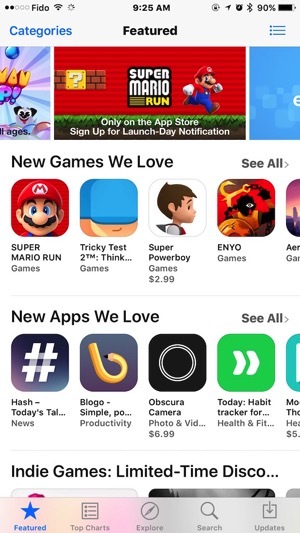 Which is why it’s now front and centre the moment you launch the App Store. 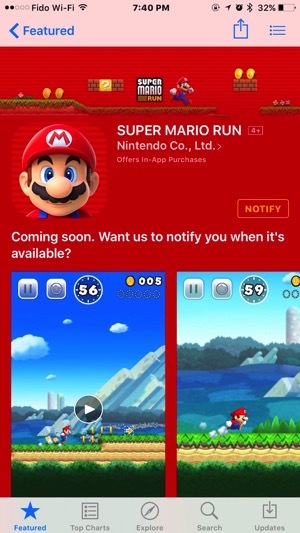 The teaser also allows iPhone users to get notified when Super Mario Run for iPhone is available—just tap the ‘Notify’ icon. So like everyone else, make sure you subscribe for the alert. The game will be available as a one-time purchase, with no subscriptions required to play. The only guess is how much it will cost–but as someone who grew up playing Mario 24/7, I don’t care. JUST GIVE ME THE DAMN GAME ALREADY! Are you excited for Super Mario Run for iPhone?